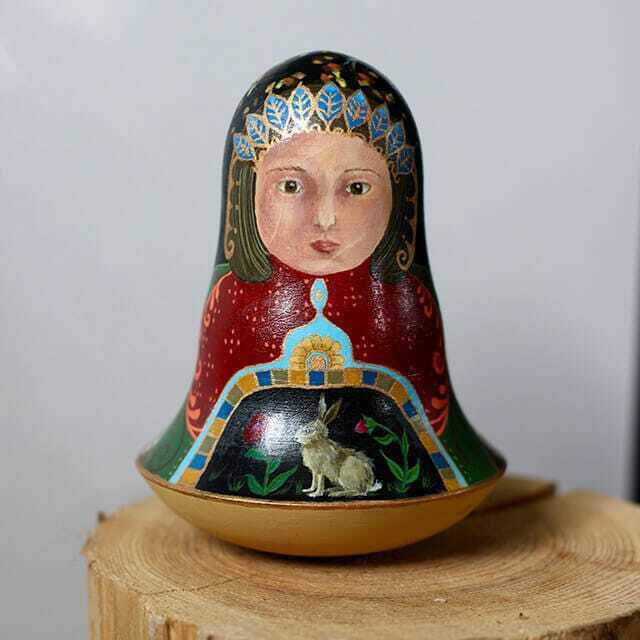 Nevalyashkas are an unusual type of Matryoshka sometimes known as a Chime Doll. 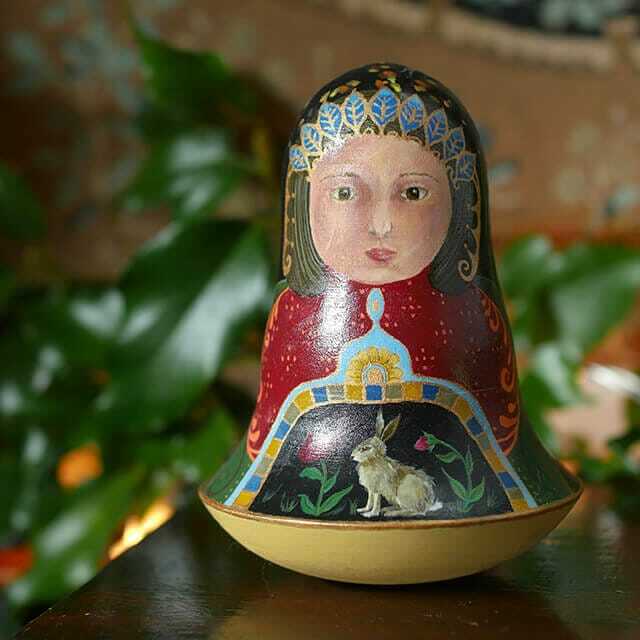 These dolls are imported from Moscow and delicately hand-painted so no two are the same. Within them is a beautifully mellow sounding bell that chimes gently as they rock from side to side. They are rounded at the bottom and weighted so that they may rock without ever falling over. 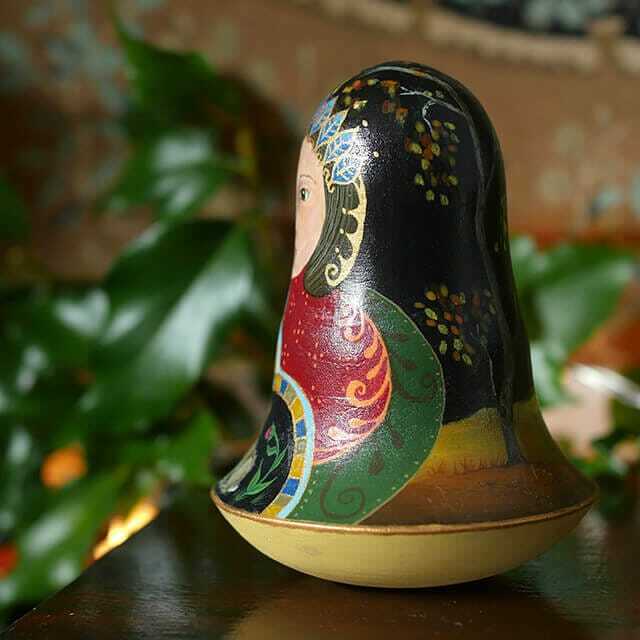 Now a collectable item, Chime dolls were originally traditional toys. They taught children from an early age to never give up, to stand up after each fall, always look for love, light and recreation. 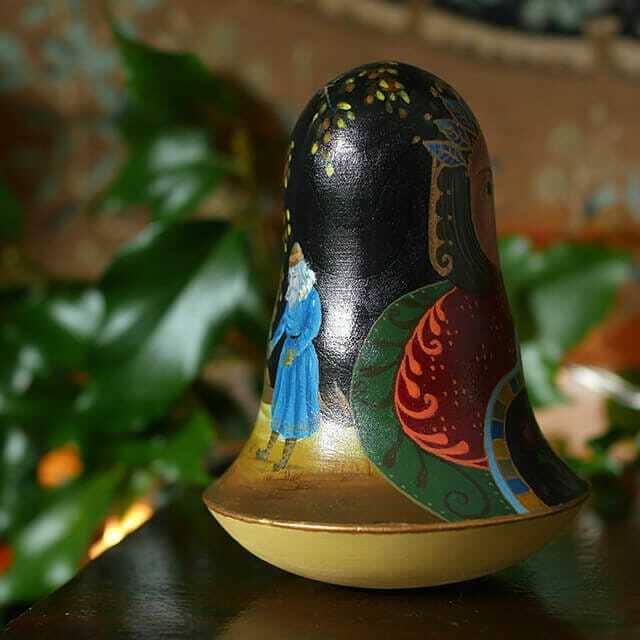 For a completely unique piece and a more personal touch the Nevalyashkas can be commissioned to suit your own wishes. Please feel free to contact us with any queries you may have. A rabbits Tale. Most rabbits you’ll meet are of the nibbling and nervous variety. But, in a far away land where Autumn Birch leaves shine like golden stars against the night sky there lives an altogether different variety. They are wish-granters and tale-tellers, the most powerful of all being the very pale or White rabbit. 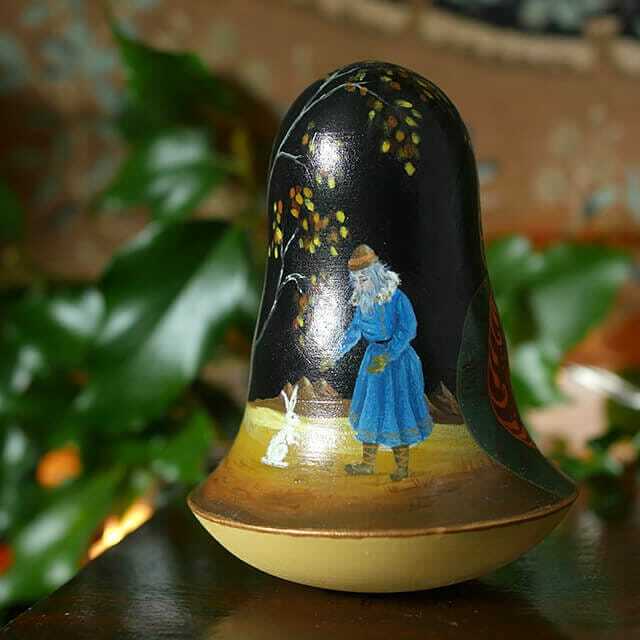 The symbol of the rabbit is considered lucky and magical to this day. Many mutter “White Rabbit” on the first day of every month so that they may be lucky for the month ahead. So whether your rabbits be brown or white, may all your wishes come true.